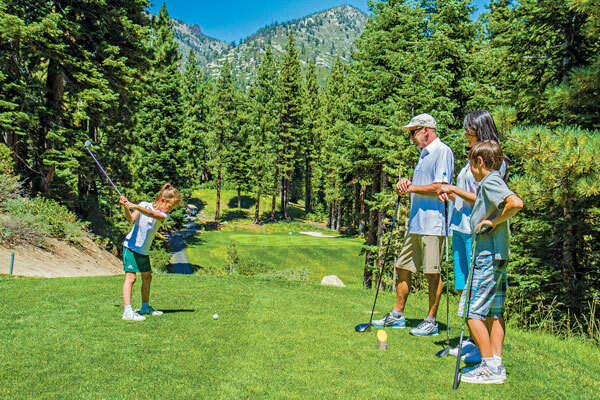 Incline Village Mountain Golf Course is a great course to add to your summer bucket list. The course was designed by the famed Robert Trent Jones Jr., who designed hundreds of courses across the county. The mountain course itself was named a Top-Ten Short Course of America by Golf Range magazine. 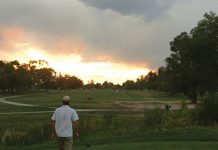 My golf partner and I set out to play late afternoon on a beautiful spring day. Our tee time was easily scheduled and we felt like we had the place to ourselves. We were pleasantly greeted by the course’s new head golf professional, Jessica Dugan. I am always excited to meet women who are truly passionate about golf. The course staff all spoke to Dugan’s praise, saying she has done a tremendous job since taking over. could test the most seasoned golfer. Dugan warned the course was difficult. I took her advice lightly at first, but this 3 par, executive course was full of challenges to enjoy. 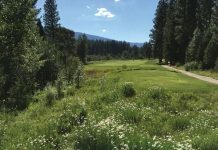 The course is the perfect mountain setting; in fact it is the highest elevation course in Nevada and the Tahoe Basin at 6,800 feet. The elevation changes, water hazards and bunkered greens could test the most seasoned golfer. There are some truly great par 3 and 4s on this course. I had the opportunity to utilize every club in my bag. I recommend allowing time to enjoy all the onsite amenities, including Wild Bill’s BBQ, open for breakfast and lunch. Arrive early for your tee time and take advantage of the practice greens. The neighboring Championship course also has a driving range. 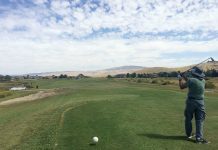 The course is an affordable treat to play for golfers of all levels. There are special rates for Nevada locals and guests. If you’re itching to get out there, take advantage of the nine-hole rates after 5:30 p.m. Bring the kids on Sundays and they play for free with an adult. As if this isn’t enough incentive, there’s always Nine & Wine on Thursdays until Aug. 16. This is a nine-hole scramble for four players and includes wine and appetizers on the deck. Brittany grew up in North Dakota, where she attended North Dakota State University for journalism. After graduating, she moved to Tahoe to pursue another passion, skiing. 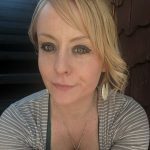 She can be found around the Sierra golfing, skiing and attending live music and events.